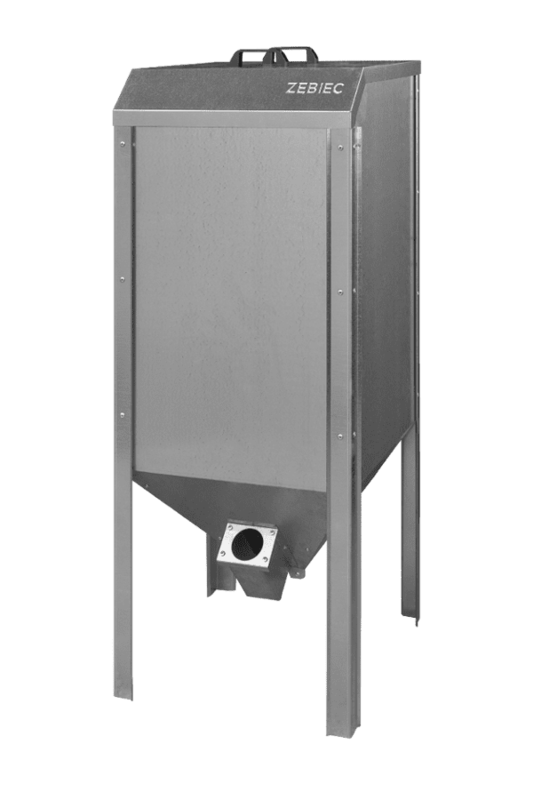 Our pellet hopper is made of galvanized steel to extend its life. It is fitted with a top cover with convenient handles for easy use, and its unique design makes it possible to locate it in small boiler rooms. These advantages are particularly important when storing pellets in humid areas.